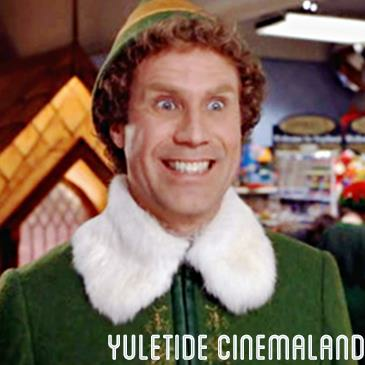 Yuletide Cinemaland is a festive holiday celebration in a Charles Dickens style town square that combines the nostalgia of classic holiday movies outdoors with Christmas carolers, delicious food, hot chocolate, mulled wine, craft beer, and more! Explore picturesque Victorian-era homes dressed for the holidays, join piano sing-alongs in the Perry Mansion ballroom and experience the Instagram-worthy Holiday Light Tunnel. Each event features 2 holiday movie screenings outdoors (6pm and 8pm) right in the middle of the historic town square at Heritage Square Museum. It’s a ho-ho-ho and and belly full of fun brought to you by the producers of Street Food Cinema. ABOUT: After inadvertently wreaking havoc on the elf community due to his ungainly size, a man raised as an elf at the North Pole is sent to the U.S. in search of his true identity. LOCATION: Heritage Square Museum - 3545 Pasadena Ave, Los Angeles, CA 90031 (Follow signage to event entrance.) No entrance at Homer St.
ADVANCE TICKET INFO: (Early Bird) General Admission - $20. Children 6-12 - $10. Children 5 & Under - Free. DOOR INFO: General Admission - $30. Children 6-12 - $14. Children 5 & Under - Free. TIMES: Doors 5:00pm. Tours 5:00-6:00pm, 6:30-7:30pm, 8:00-9:00pm. Movie 6:00pm. Movie 8:00pm. FOOD TRUCKS: Visit www.streetfoodcinema.com/elf-dec-8/ for the most current Food Truck listing! PARKING: Suggested lot on 3545 Pasadena Ave. Lot not owned or operated by SFC. We suggest carpooling or Uber/Lyft (to 3545 Pasadena Ave). VIP Parking Passes available for $18 online. Free street parking around 3545 Pasadena Ave limited. PARKING NOTES: Parking not permitted at Heritage Square Museum. For handicap parking info, contact info@tilpr.com. METRO: Gold Line - Heritage Square. CHAIRS: No chairs or picnic style seating permitted. Lawn chairs provided. Title and times subject to change. Please check the website for any updates www.streetfoodcinema.com. Any questions please contact info@tilpr.com or call 323.254.5068.